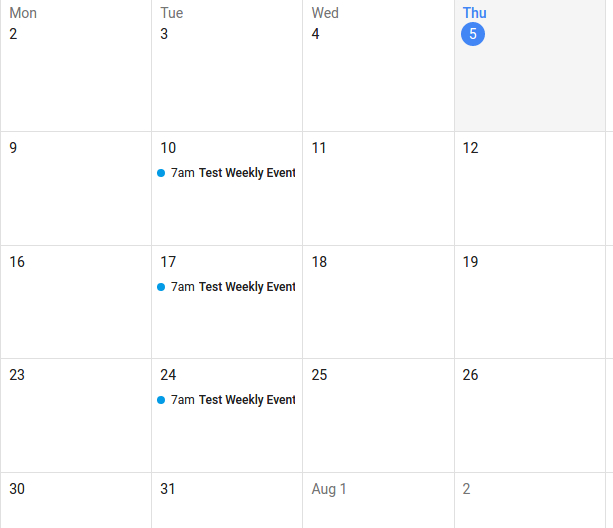 Description: Calendar events can be of multiple types like which can occur on daily basis, weekly, monthly or on custom days of the same month. So, followings are the ways how we can use these types of events in iCal so that they can be shown at the proper dates in required calendar. 1. One Session Event: One session event occurs only a single day, we can use DTSTART;TZID and DTEND;TZID parameters for this. DESCRIPTION:This is a single day event. DESCRIPTION:This is an example of daily event. nstructor Name: manju.kashyap\nInstructor Email: manju.kashyap@mailinator.